While it was a couple of weeks late, we were actually able to surprise him with a celebration (which is uncommon with our birthday “surprises” anymore). 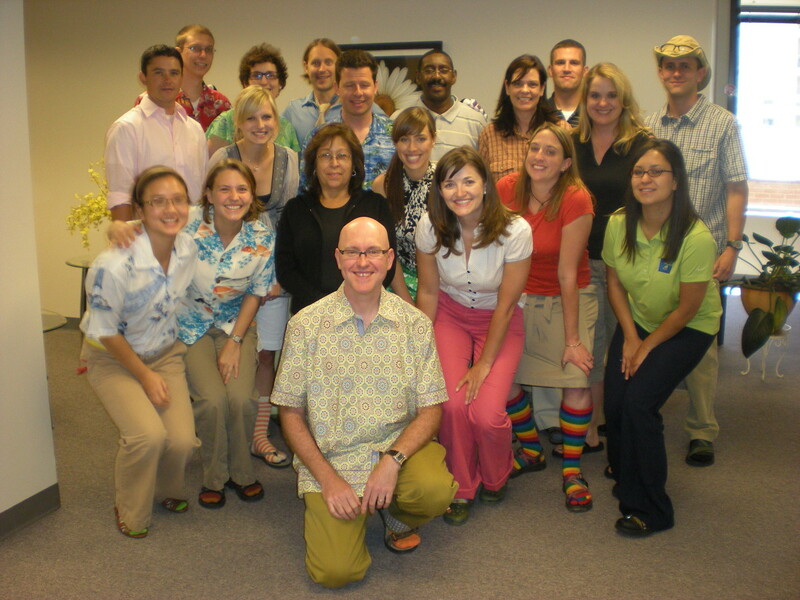 It was a fun lunchtime of looking back, looking forward, and playing “name that email” (had to be there – suffice it to say that Kevin’s creative side is expressed in his inter-office email as well as his wardrobe). So, congrats to Kevin on a successful 10 years at Corona and best wishes on the next 10. 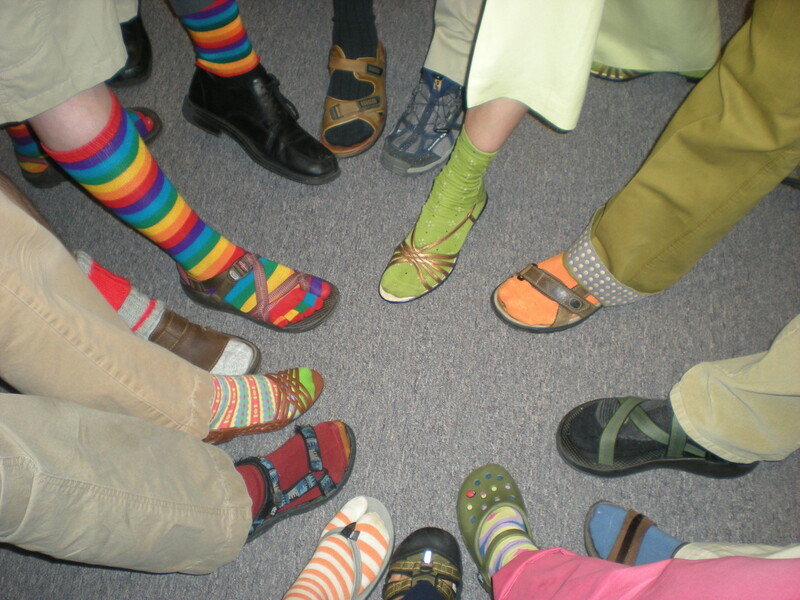 Top Picture: Staff dressing like the boss with their colorful socks. Kevin is the orange one. Bottom Picture: Kevin and the Corona staff.